Contains organic ingredients recognized for their potency against disease, digestive and skin issues. 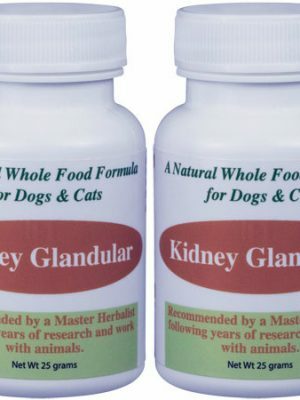 Helps support & restore your dog’s damaged GI tract to normal due to yeast overgrowth, leaky gut and ulcers. Helpful for rebuilding muscle mass. 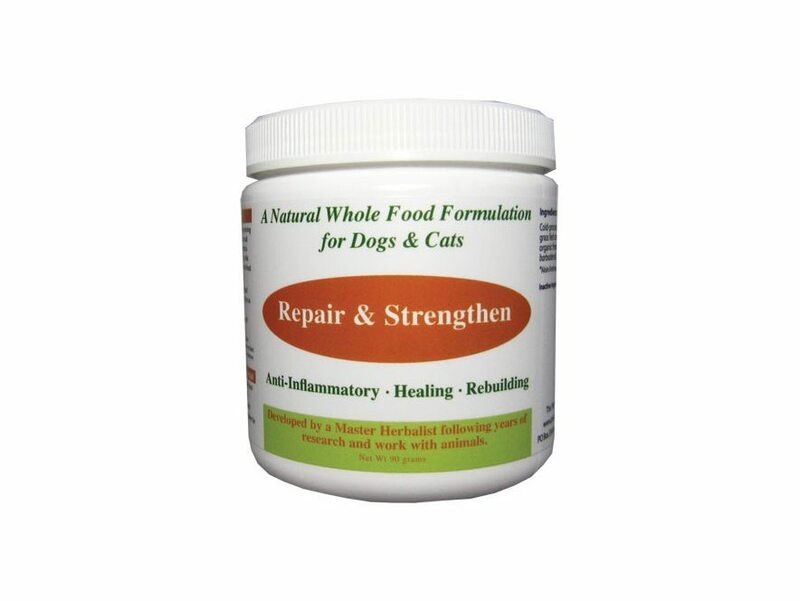 Repair and Strengthen provides optimal nutritional support for weakened dogs that need additional help in restoring their immune health and resilience. 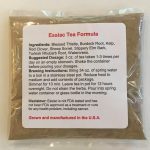 Use: For food allergies, leaky gut, yeast overgrowth, muscle wasting, GI tract issues and other conditions that cause deterioration in the body. Active Ingredients: Six Hour Colostrum, Cold Pressed Whey Protein, Freeze Dried Aloe Vera. 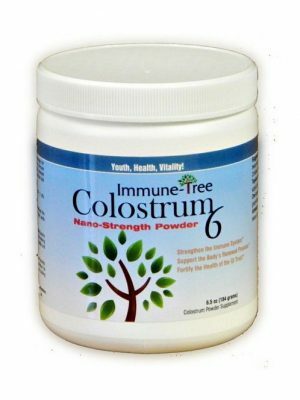 The 6 Hour Colostrum used in Repair and Strengthen is the real deal. It’s the first substance discharged after the birth of a calf. Pure Colostrum includes generous amounts of long chain amino acids that produce incredible healing elements. The Whey Protein Isolate used in Repair and Strengthen is 100% pure and comes from grass fed cows. The amino acids found in whey protein help with cellular generation and repair as well as the production of glutathione. The concentrated form of glutamine helps heal the digestive tract lining. The Aloe Vera used is organic, preservative free and freeze dried. Aloe helps soothe a sore, sensitive digestive tract. Dogs: Give 1/2 teaspoon per 20 pounds two times daily. For best results give 5-10 minutes prior to meals. Mix with a little warm water to create a paste. If your dog eats the paste alone, that’s great. If not, you can add the paste to a little cheese or other tempting food. 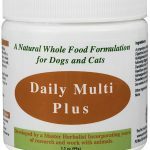 For dogs with severe problems, you can double the dosage, but start by using the recommended dosage and slowly work up over a few days. For long term use, only feed 5 days a week. Precautions: Should your dog’s condition get worse, consult with a holistic veterinarian.